Let’s start with a round of applause, for you! Congratulations on starting your cooking journey with Chefling and taking a step towards transforming your kitchen experience. Don’t know what to cook for dinner? Overwhelmed by the number of recipes on the internet but still can’t find something that fits your need? You don’t have to worry anymore. Chefling is made for you: the home chef, the passionate cook, the food experimenter, the quick-bites cook, the pastry chef. We built Chefling for everyone who wanted to discover the joy of cooking again without having to look at cooking as a stressful activity. All the features on Chefling are easy to use and convenient and can be used by ages 13+. From managing the pantry, taking care of grocery needs, to always finding the right recipes to cook, Chefling can do it all. Managing the Pantry has often been one of the most tiresome tasks in the kitchen. Keeping a tab of all the ingredients, making sure that you always have the items to cook or even making sure that your items haven’t spoiled sounds difficult. And that’s why we’ve created pantry management to help you out with it. Add items by scanning shopping receipts, item barcodes or just telling Alexa or Google to add items. Make your kitchen truly yours. Like managing the Pantry, shopping can be tedious too. Managing a shopping list, keeping a check of all required items, making sure you don’t miss out on specific ingredients from recipes, all this and we can already sense you’re tired. And that’s why we bring to you a more unified shopping experience, right from the app. Sync your shopping lists across family members and directly shop from major retailers in one click. Let’s get you cooking already! Chefling comes with intelligent recipe recommendation that works in tandem with your Pantry. Added an item in your pantry? Awesome. We’ll suggest you just the recipes that contain that ingredient. Explore thousands of recipes with filters based on your dietary preferences. Always eat healthily and stay fit! Yes! We mean it. Enjoy 100% hands-free experience with Alexa, Google Home, and Siri. You can manage everything from the pantry to recipe suggestions with ease and convenience, just with a command! The dawn of technology is here. 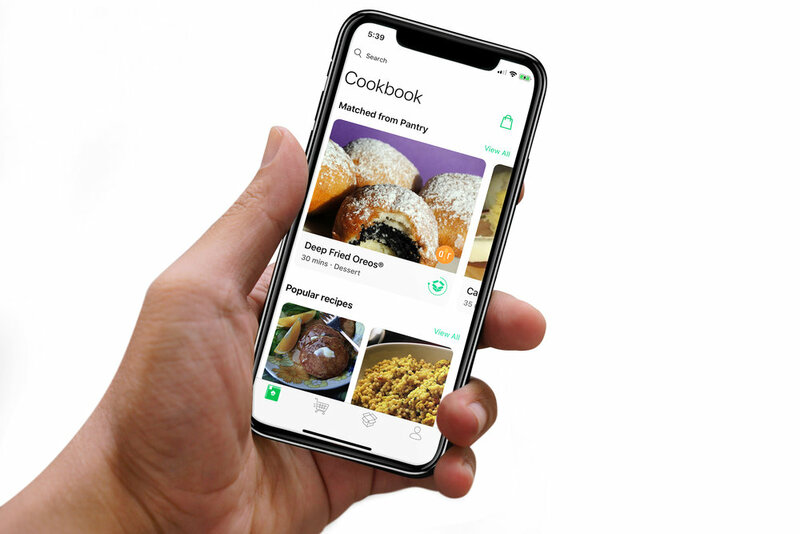 Connect your smart appliances with Chefling and enjoy the power of managing everything from pre-set cooking to adjusting temperature and more! Now that you’re acquainted with the flow and process at Chefling, we hope you have an enjoyable time discovering the joy of cooking. This is a great start to your cooking journey, make sure you don’t miss out on the ‘Popular recipes’ section and ‘Kitchen Inspiration’ to keep you going. Our Facebook and Instagram pages are great places to learn more about cooking. If you have any questions at all, feel free to let us know. Always happy to help! Older PostColombian Cuisine: An Appetite For Magic!